UK sales of beer rose to their highest level in 45 years last year, the British Beer and Pub Association (BBPA) has said, driven by last year’s good weather and the World Cup . Total sales of beer across the on- and off-trade were up 2.6% on the previous year, according to the British Beer & Pub Association (BBPA)’s 2018 Beer Barometer, marking the biggest year-on-year sales growth of beer in 45 years. There were strong off-trade sales of 4.7%, while on-trade sales recovering well from a shaky start to the year to rise 0.1% overall on 2017. The first quarter of the year saw beer sales fall -1.7% compared to the previous year, before improving in the second and thirds quarter, with sales up 3.6% and 4.4% respectively. This was driven largely by last summer’s good weather and the unexpected success of the England football team at the World Cup, it said. The growth continued in the final quarter, rising 3.1% – the first time Q4 beer sales grew in the on-trade since 2011 – which the BBPA attributed to the “immediate impact” of the Chancellor’s decision to freeze beer duty at his Budget in November. 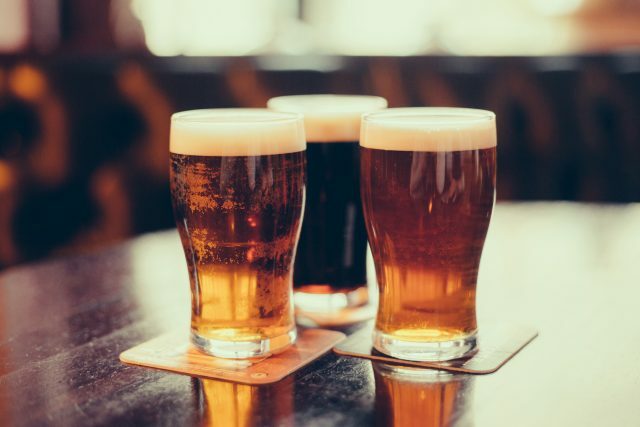 The BBPA said that although the World Cup and the good weather provided welcome boosts to pubs this year, leading to a notable increase in beer sales, it could not be relied upon to boost sales. “It only comes around once every four years. This means pubs cannot rely on it for growth,” it said. Brigid Simmonds, Chief Executive of British Beer & Pub Association, said it had been a good year for beer and pubs. “Considering the heavy cost burdens the industry faces from high beer duty, business rates and rising costs in general, it’s great to see beer sales doing the best they have for some years,” she said. She said the Chancellor’s decision to freeze beer tax in the 2018 Autumn Budget was having immediate impact.